Can't Use Card For 3 Turns Or If You Don't You Can't Use It For 7 Turns. Flip A Coin If It Lands On The Poke-Ball It Does Half Of The Damage. 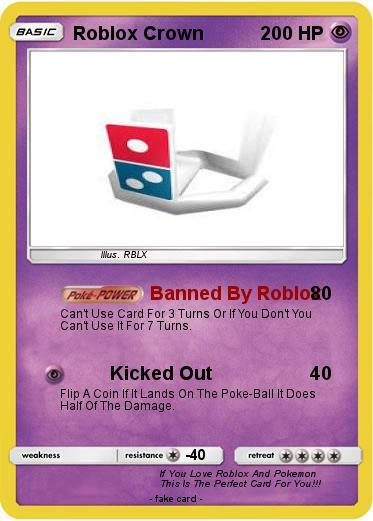 Comments : If You Love Roblox And Pokemon This Is The Perfect Card For You!! !